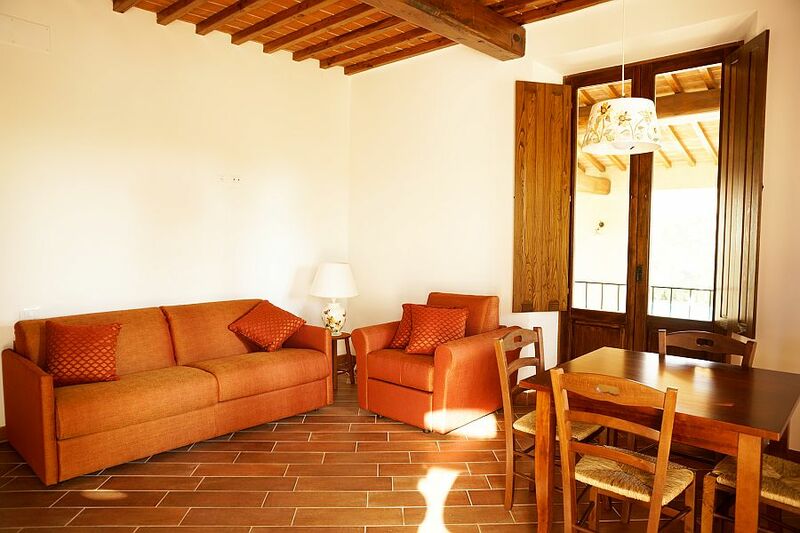 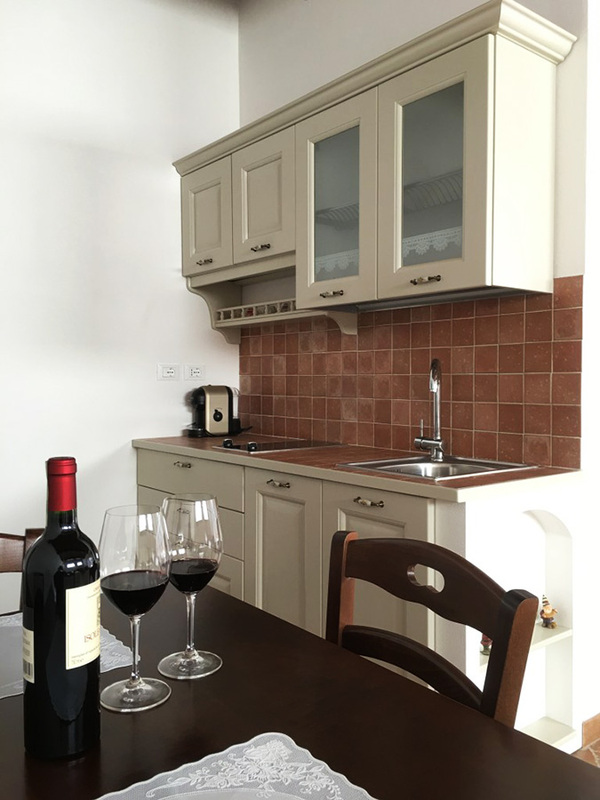 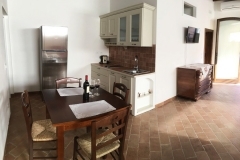 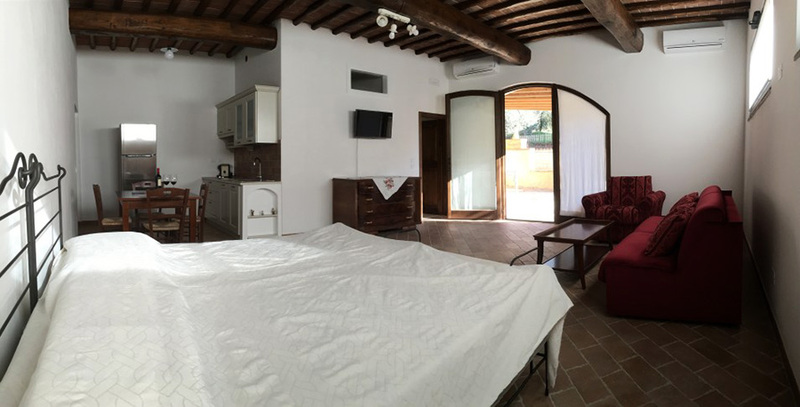 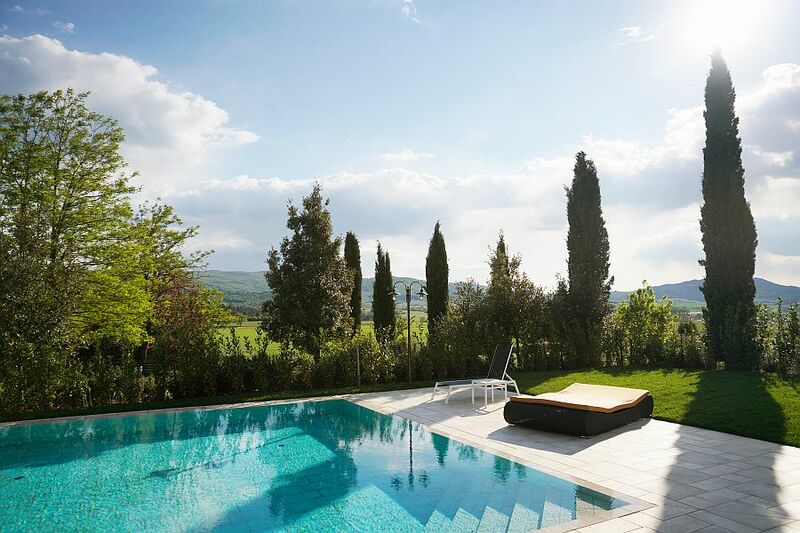 Two apartments with a panoramic view on the typical Sienese countryside are available to our guests, both with private terrace and pool access. 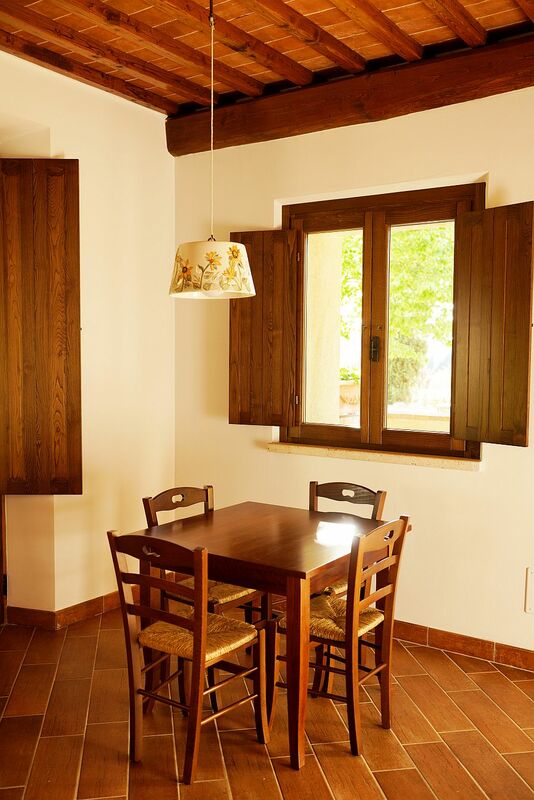 They have recently been renovated in typical Tuscan style and are part of a former mill where also our Restaurant is located. 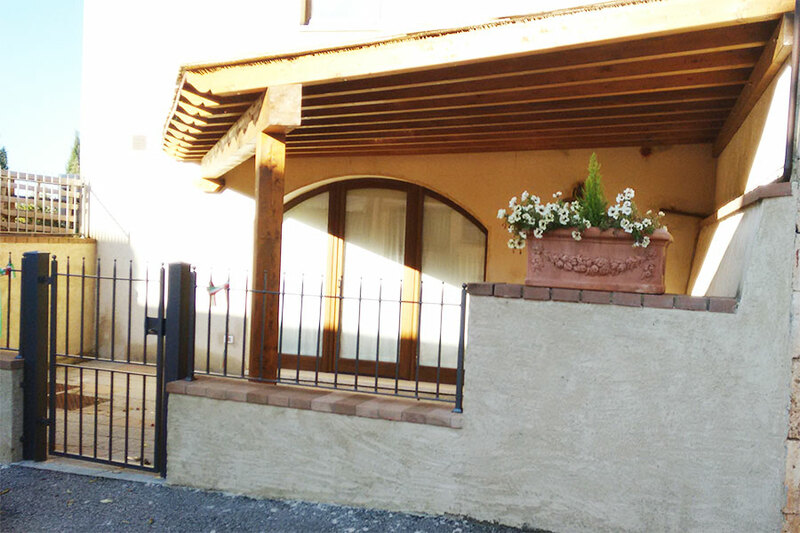 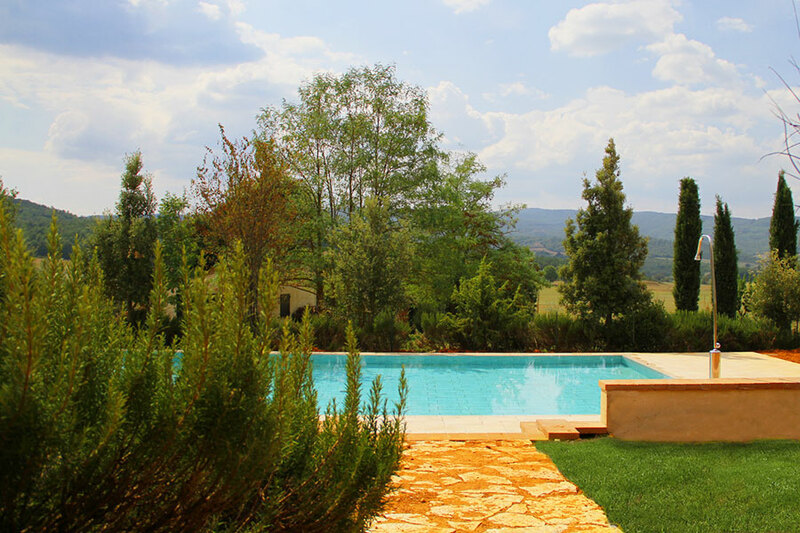 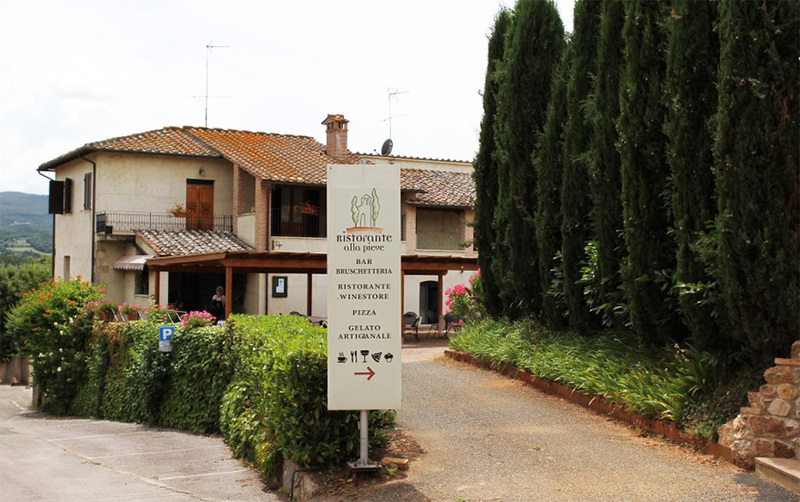 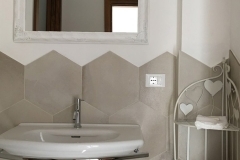 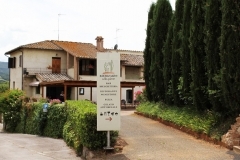 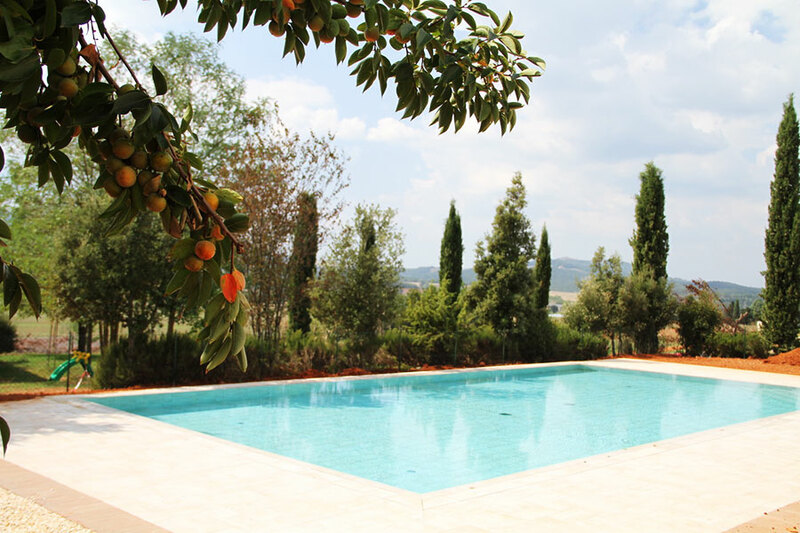 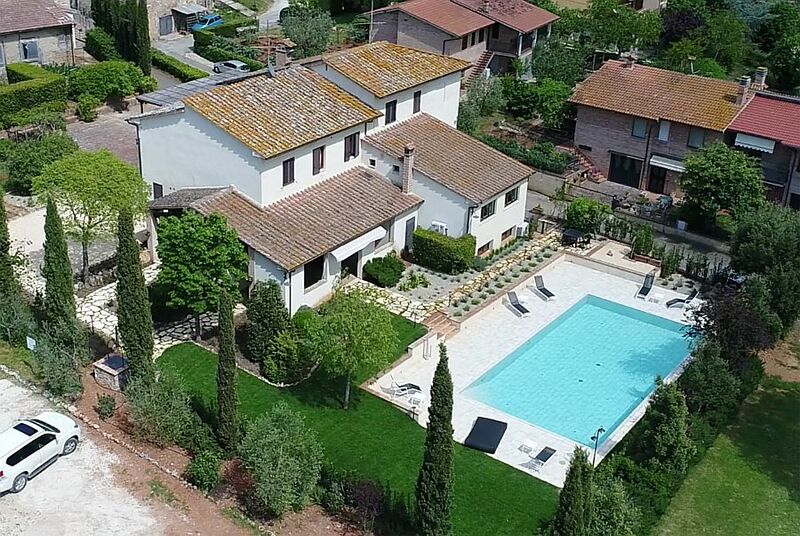 The residential complex is located in the sleepy village of Pievescola near Casole d’Elsa, just a few kilometers from the main attractions such as Siena, Monteriggioni, San Gimignano and Florence. 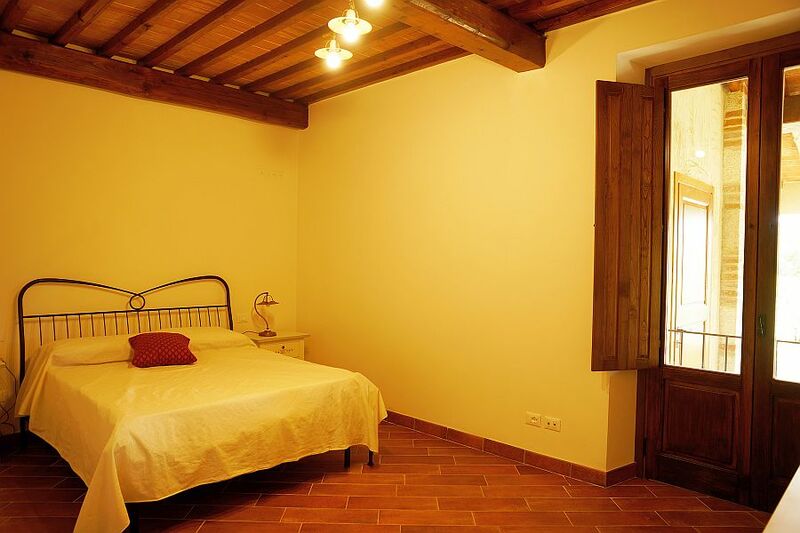 Studio 50 m2, ground floor, with direct access from a side street. 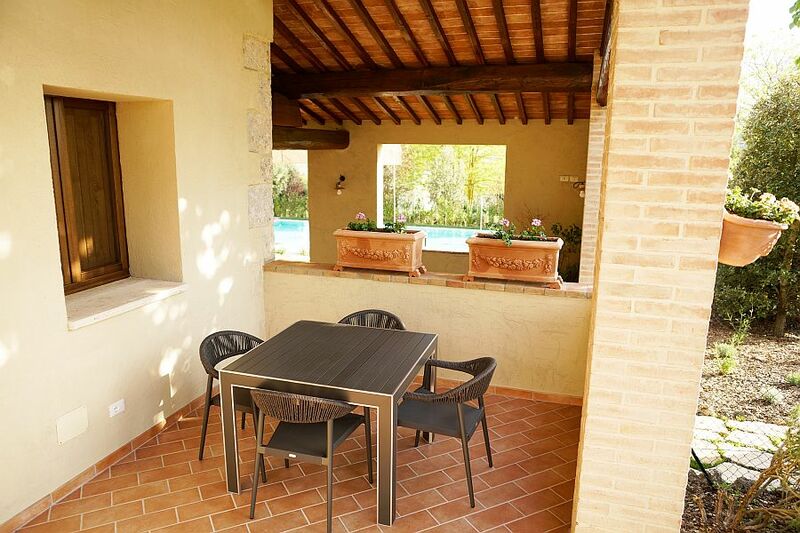 Living room / bedroom, kitchenette, bathroom with shower, fitted wardrobes, terrace and private pool access. 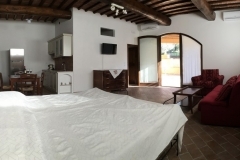 1 divisible double bed, 1 sofa bed, 1 table with four chairs, refrigerator, microwave oven, coffee maker, electric induction furnace, wash-dryer, Satellite TV with some TV programs, WiFi. 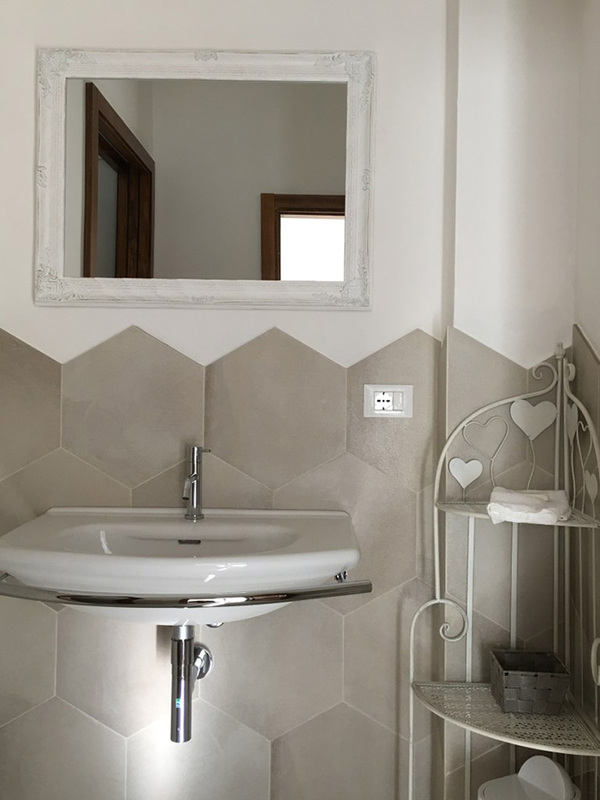 Apartment on the ground floor (55 m2) with access from private parking has 1 bedroom, 1 living room, kitchenette, bathroom with shower, private terrace equipped with tables and chairs, private access to the pool. 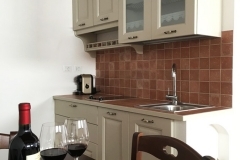 1 divisible double king-size beds, 1 double sofa bed, refrigerator, microwave oven, coffee maker, electric induction furnace, wash-dryer, Satellite TV with some TV programs, WiFi.